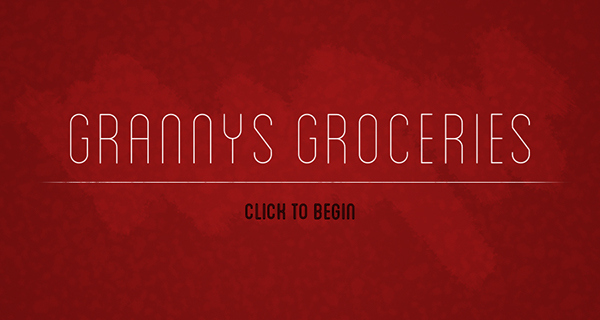 Granny's Groceries is a game developed in processing in which players try to help Granny get the food the needs to make dinner. 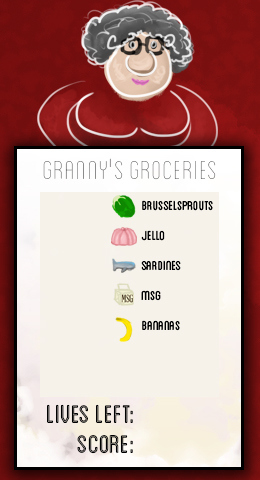 Granny has an unusual sense of taste and finds that combining sardines, jello, bananas, MSG, and brussel sprouts together create a very "delicious" dish. 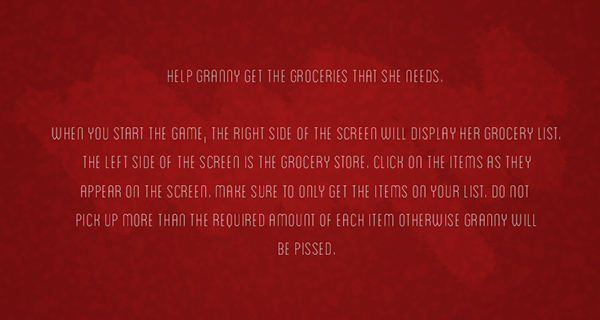 As icons of these items fly by, players try to click on them to add them to Granny's grocery cart. The game is created so the number of each item needed is different every time. 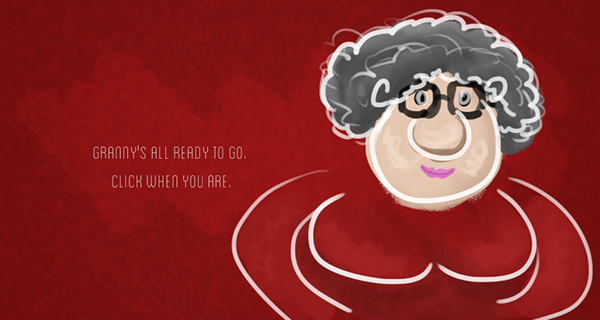 Picking up too much of one item can result in lives being lost. 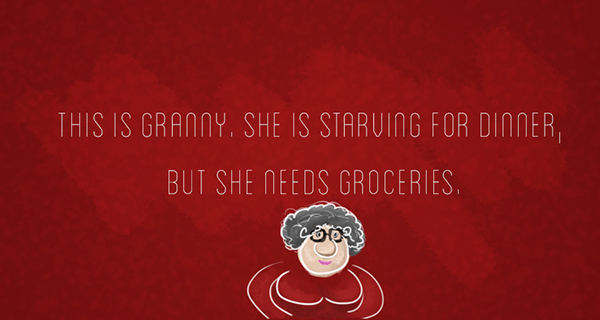 Granny is very particular about how much MSG is perfect for a dish. 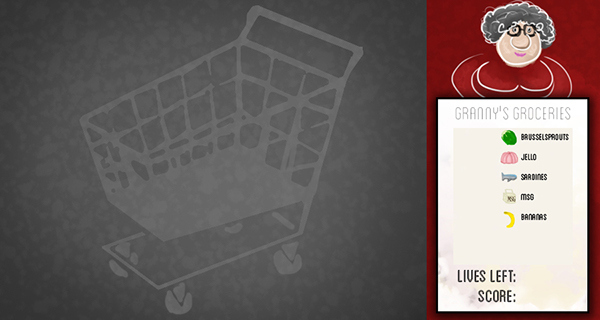 In addition, not grabbing an item that you need can also result in a deduction of a life.